He came so close to the win but just couldn’t do it. Still a solid performance from Johnson at a very tricky course. We’ll stick to all of the tips in one post again due to time constraints. We almost had a huge win here last year with Luke Donald. He was 80/1 and came 7th. 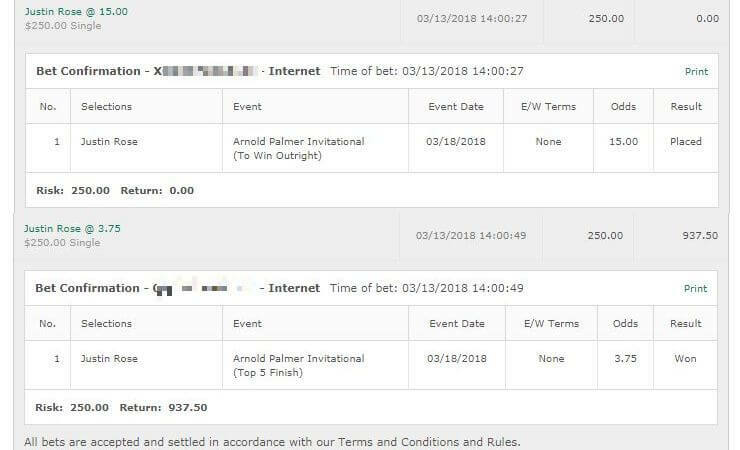 If it wasn’t for a +4 day on round 3 he would have got us a massive win. Based a lot on that, we’re going to risk half unit on Luke Donald for a top 10 finish. 11/2 odds on that one. If you want to get him to win and E/W it’s 66/1 but based on his current form we can’t see it. Might have a small flutter on it as we’d be kicking ourselves if we didn’t. Probably a quarter unit. We’re betting a quarter unit on the 175/1 Jim Herman to win and E/W. He had a 7th place finish last year at this tournament and he had some GREAT form at Pebble Beach 2 weeks ago. He got -8 there on a brutally tough course and we were very impressed with how solid he looked there. We’re also on a quarter unit on Fredrik Jacobson. He’s had some good finishes here in the past and is also coming off a couple of solid performances – two 4th place finishes at the Farmer Insurance and Pebble Beach. Very disappointed in his form last week at the Northern Trust Open but he’s more comfortable on this course. To win and E/W. 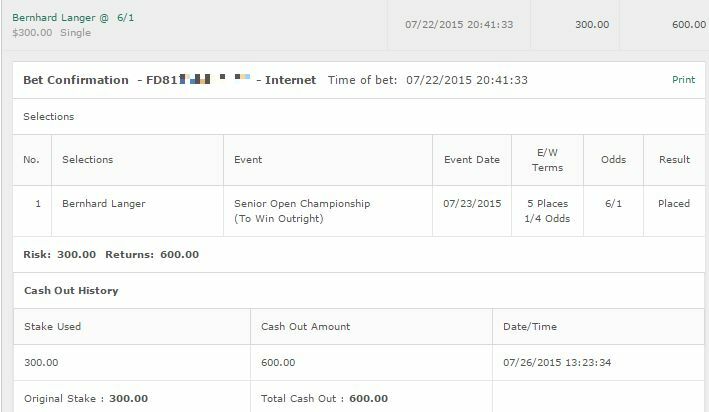 Finally a quarter unit to win on Rickie Fowler at 12/1. Honestly we don’t think he really stands a chance – his driving just isn’t good enough – but with Rory and a few others playing his odds are juicy enough for a small bite. That’s it for the Honda Classic. Unfortunately for this one we’re just not seeing anything we like. We’re going to do a small bet on Thorbjorn Olesen to repeat – and at 18/1 we’ll bet it E/W. Honestly we don’t think he will so don’t bet the bank on it. However his performance here was tremendous last year and one thing about this course is course history can be a big, big factor. We’ll take a quarter unit on Inbee Park to win at 11/2. She’s only played the one tournament this year – the Pure Silk Bahamas – and she played very poorly however her course form here is incredibly strong and can’t be ignored. Her current form does leave a lot to be desired though hence just a quarter unit. We’ll also bet Yani Tseng for a quarter of a unit. Not feeling too confident on her with her performances as of late either but she’s got solid course form and she looked okay at Coates. With a little break. To win and E/W there. 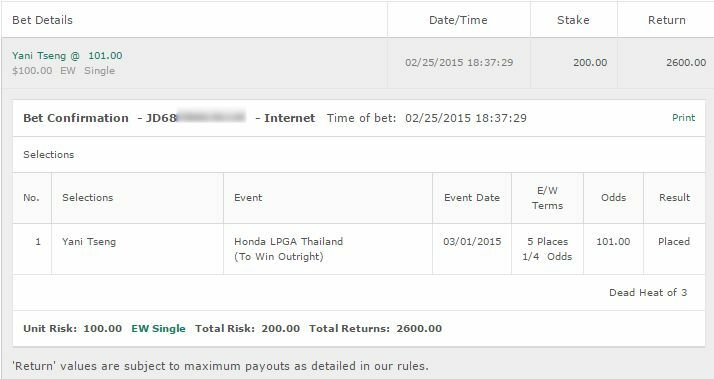 We’re going to bet a half unit on Stacy Lewis to win. She’s played great here and her form this season is pretty solid – she did so well at the Bahamas LPGA Classic and hung in there at Coates and we think she can continue her form. Lewis knows any tournament without Ko is a winnable tournament. Finally a half unit on Suzann Pettersen to win and E/W. At 20/1 she’s on form and this is a course she performs well at.